Forms of Criticism proposes to think about critical practice as a creative experiment with form in its own right and invites a re-examination of the relationship between research and forms adopted for presenting, communicating, and disseminating it. By considering diverse sites of critical and creative production the project focuses on experimenting with modalities of criticism and ways of addressing formal critical-creative hybridity. Our friends in the Westminster Law School has collaborated with Imperial War Museums (IWM) to show the UNESCO listed film The Battle of the Somme, to audiences across the world. Shot and screened in 1916, it was the first feature length documentary about war and changed the way both cinema and film was perceived by the public. In the year of its release around 20 million people, almost half the population of Britain at the time, watched The Battle of the Somme many hoping to see the image of a loved-one, or friend captured on film. One hundred years later, this unique film from IWM’s collection, is being shown to commemorate the anniversary of the Battle of the Somme. The event will be held at the University of Westminster building at Little Titchfield Street, London. The screening of the film will be followed by food and drink refreshments in Portland Hall where there will be additional archive material, displays and information to mark the centenary of this historic event. Speakers: Claudia Aradau (King’s College London); Mark Currie (Queen Mary, University of London); Elizabeth Ellsworth & Jamie Kruse (by video link) (The New School, New York City); Mikhail Epstein (Emory University); Greg Garrard (University of British Columbia); John Richard Sageng (University of Oslo); David Wittenberg (University of Iowa). Amanda Millis who is currently studying on the IMCC’s Art and Visual Culture MA is giving a talk this evening, Friday 24th June, after a documentary screening at Hackney Picturehouse as part of the Open City Documentary Festival. Directly following the UK premiere of Desert Migration, Amanda with Doc Duhon will be discussing the film and long-term HIV/AIDS survival. The discussion will be framed through the feminist psychoanalytic theory of Matrixial Subjectivity created by the artist and psychoanalyst, Bracha L. Ettinger. They will address matters such as the lack of an HIV/AIDS memorial in London and the immediate need for the NHS to provide PrEP. Following the dialogue, there will be an audience Q&A as well as information on accessible activist actions to provide PrEP on the NHS now. Anne Witchard is part of a panel discussing the 1962 film The London Nobody Knows at the Genesis Cinema organised by the Luxury Book Club. The London Nobody Knows is an important film every Londoner should watch once. It’s a privilege to re-experience the city through the prism of Geoffrey Fletcher’s eccentric gaze. Fletcher loves the romance of ruins, relishing are the places where a fragile connection with the past remains intact. He’s an explorer and an adventurer, a Londonologist. The film sees James Mason (smart casual and dressed for adversity in a flat cap) taking a stroll through shabby 1960s London. Edwardian tearooms, unusual gas lamps and crumbling terraces, rococo funeral parlours and art nouveau pubs, the ‘sleazy snack bars’ and the cast-iron balconies, forlorn music halls, old Jewish tailors and outmoded East End boutiques; redundant curiosities on the brink of oblivion. Nick Thurston, an artist and critic, will discuss the work of Information as Material, an independent publishing project, which he co-edits with Simon Morris and Craig Dworkin. Thurston will address questions of materiality of language and independent and experimental publishing, and explore ideas about appropriated and subverted technologies of communication. The talk will be followed by a conversation between Nick and critic and academic, Stephen Voyce. This is the fifth event in the Experimental Writing @ Carroll/Fletcher series. Organised by the Institute of Modern and Contemporary Culture at University of Westminster and Carroll/Fletcher, the series showcases contemporary developments in experimental writing and their relationship to the visual arts. Nick Thurston has exhibited and performed internationally at Denver Museum of Contemporary Art, Toulouse Museum of Contemporary Art, The Laurence Sterne Museum, Whitechapel Gallery, and Bury City Art Gallery, amongst others. He is the author of numerous publications ranging from poetry to prose essays. Since 2006, he has been a co-editor of Information as Material (iam). iam operates as a collective of writer-editors and as an independent imprint that publishes work by artists who use extant material — selecting it and reframing it to generate new meanings — and who, in doing so, disrupt the existing order of things. The imprint’s activities involve writing, publishing, exhibiting, curating, web-based projects, lectures and workshops. 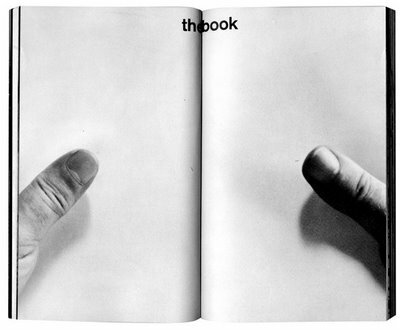 iam’s publications and editions are held in private and public collections around the world including Tate (UK), National Library of France (FR), and MoMA (USA). Nick’s own work is collected by the Electronic Poetry Center (University of Buffalo and University of Pennsylvania), which archived his work in 2015. The collection includes his poems, short writings, interviews and book extracts (2006-2014). Nick is a Programme Director of interdisciplinary undergraduate Fine Arts programme at the University of Leeds and a Visiting Fellow in Contemporary Writing at the University of Pennsylvania. Stephen Voyce is Professor at the English Department at the University of Iowa, where he also holds appointments in the Digital Studio for the Public Arts & Humanities and the Center for the Book. He is the author of Poetic Community: Avant-Garde Activism and Cold War Culture (University of Toronto Press, 2013), the editor of a book of variations: love – zygal – art facts (Coach House Books, 2013), and the Director of the Fluxus Digital Collection. His work also appears in journals such as Jacket2 Magazine, Modernism/modernity, Criticism: A Quarterly Journal for Literature and the Arts, Postmodern Culture, and Open Letter. Voyce’s primary teaching and research interests include twentieth-century poetry, media studies, Marxist criticism and theory, and critical digital studies. Before joining the University of Iowa, he worked in the music industry and as a SSHRC-postdoctoral fellow at the Modern Literature and Culture Research Center in Toronto, Canada. The Queer London Research Forum at the University of Westminster is co-hosting the three-day 2016 LGBTQ+ Archives, Libraries, Museums and Special Collections conference in collaboration with the Bishopsgate Institute and the City of London through the London Metropolitan Archives. ALMS is an international conference focussed on the work by public, private, academic, and grassroots organisations which are collecting, capture and preserving archives of LGBTQ+ experiences. The conference began in Minnesota in 2006 when the Tretter Collection and Quatrefoil Library co-hosted the first LGBT ALMS Conference. The last conference took place in Amsterdam in 2012 and saw archivists, activists, librarians, museums professionals and academics from around the world coming together to share success stories and discuss challenges involved in recording LGBTQ+ lives. The 2016 conference is titled ‘Without Borders’, and the aim is to generate a dialogue within the co-dependent fields of LGBTQ+ historical research and collecting, and share experiences, ideas and best practice through a programme of presentations and short talks that explore margins, borders, barriers and intersections, past and present. The three days of the conference will then take place at the Bishopsgate Institute (June 22nd), University of Westminster, 309 Regent St (June 23rd), and the London Metropolitan Archives (June 24th). The second, third and fourth installments of David Cunningham’s series of pieces on the theme of Photography and the Language of Things are now up on the Still Searching blog hosted by our friends at the Winterthur Fotomuseum in Switzerland: Part Two, Part Three, Part Four. In my previous post I tried to sketch out some of those questions provoked by a contemporary desire, in the words of Hito Steyerl, to side with and affirm the object. While this affirmation has coincided with a more general turn towards the object or thing in recent theoretical writing – and, consequently, away (or so it is said) from earlier concerns with language, text, discourse and sign – it has also been attached, in Steyerl and others, to a more specific call to rethink the character of ‘the image’, and of ‘our’ relationship to it, as one framed not by an “identification” with the image “as representation”, but precisely “with the image as thing”. Parts Five and Six will be appearing before the end of June. Marshall McLuhan is a central and provocative figure in early media discourse – some of his pronouncements shaped the subject while others were divisive or obscure. However, his wide-ranging literary research, teaching and ground-breaking contributions to publishing still require detailed attention – for example, recent accessibility to his own richly annotated library presents a remarkable new research resource, while his collaborations with book designers remain hugely influential if inadequately understood. This symposium addresses McLuhan’s media practice from the dual perspectives of communication and literature, and introduces a new digital resource of archival McLuhan materials gathered from seven independent institutions and scholars during the last twelve months. Register for a place here. This one-day symposium organised by the IMCC’s Dr Georgina Colby with Hannah Camplin aims to bring keynote academics and practitioners in the fields of law, politics, and charities into dialogue with writers, artists, and filmmakers who take up the issues surrounding sexual violence against women in their works. The symposium will open with a keynote address by Professor Jacqueline Rose (FBA, Birkbeck Institute for the Humanities, University of London), entitled ‘Feminism and the Abomination of Violence.’ Professor Rose’s keynote address will be followed by a lunchtime keynote paper by Keir Starmer MP, Holborn and St Pancras. There will be two afternoon panels on ‘Sexual Violence, Belief, and Credibility’, and ‘Voice and Representation: Empowering Voice and Enacting Change Through the Arts and Humanities’. Tickets are priced at £6.00, excluding booking fee (£1.52). All proceeds from tickets sales will go to the Women’s Project at Asylum Aid. Tickets include coffee and refreshments throughout the day. Contact Georgina Colby for further information: g.colby@westminster.ac.uk. Discussing McLuhan’s contributions to our understandings of media practices, the history and futures of the book, and literary modernism, not least through his own annotations on texts by Joyce and others, the symposium welcomes participants from the Marshall McLuhan Estate, Canadian Embassy, Berlin and the Thomas Fisher Rare Book Library, as well as academics, curators and publishers with a special interest in McLuhan. 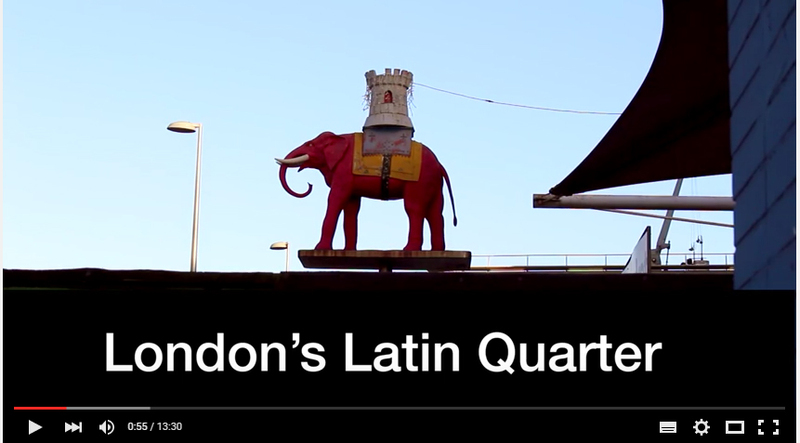 Veronica Posada Alvarez, one of the students on our MA Art and Visual Culture, is taking part in an event on The Case for London’s Latin Quarter. Organised by Latin Elephant, and setting out a strategy for the future of Elephant and Castle’s Latin American community, the event includes a discussion, photo exhibition and screening of a short documentary. It takes place at 6.00pm on Monday 6 June at Draper Hall, 1 Howell Walk, London SE1 6LT. Further details here.